Deputy Chiang Mai Governor Chumphorn Saengmanee blamed political unrest in Bangkok, bomb blasts in Bangkok and Chiang Mai and the subsequent travel warnings issued for Thailand by countries such as the U.K. and the U.S. for the drastic decline in tourism in Chiang Mai. 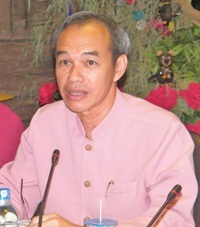 Chumphorn Saengmanee, Deputy Governor of Chiang Mai calls for help in restoring tourism to Chiang Mai. The Chiang Mai Provincial Authority has asked for cooperation from all sectors to help stimulate the local economy in the wake of the political unrest. He added that the Provincial Authority has also held meetings to monitor and evaluate the current situation regularly together with other government working agencies, police, military officers and concerned authorities. 15 bombs have exploded or been found in Chiang Mai Province and while some of the cases are still under legal action, he continued that “suspects in many cases are still unclear and the police are investigating to the fullest to apprehend the criminals. “Lastly, I would like to ask for cooperation from organizations and all sectors both public and private to help bring back peace and restore the economy to normal in Chiang Mai as soon as possible,” he concluded. 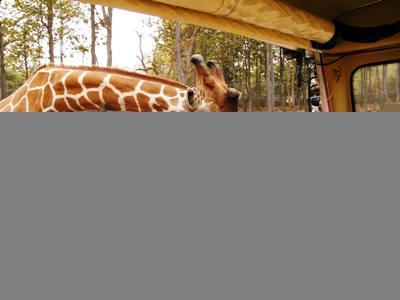 Grace International School’s Mark Hunter took students to the Chiang Mai Night Safari on April 26. Mr. Hunter wants to encourage more youth activities as well as increase awareness of wildlife conservation and natural resources through outdoor interactive classes. 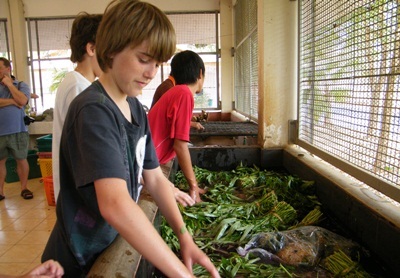 The students not only observed the animals but prepared food for and fed some of the animals, helped to clean up the animal enclosures and guided visitors around the night zoo. The students encountered many animals and enjoyed the interactive experience with wildlife. The Mekong Tourism Forum opened May 7 in Siem Reap, Cambodia, with private and public sector tourism representatives gathering to assess the opportunities arising from the new road corridors that are opening up the Greater Mekong Sub-region (GMS). The Secretary of State told forum delegates that Asia and the Mekong region were pulling the travel industry out of its recent recession. He pointed out that Cambodia’s international visitor arrivals grew in 2009 compared to 2008. The focus of the forum will be on the benefits to tourism that occur from new road corridors linking the region. The GMS countries, Cambodia, Laos, Myanmar, Thailand, Vietnam and the southern Chinese provinces of Yunnan and Guangxi, chose the theme “New Roads, New Opportunities” to pinpoint the challenges and opportunities facing tourism in the region. During the two-day forum, delegates will also hear from Mekong region governments about their plans for cooperation in tourism. Officials will update the audience on visa regulations, airport developments, border crossing changes, and new policies and incentives for the industry. ACE Director Mr R. J. Gurley told delegates that USAID would continue to work with tourism partners to increase cross-border exchanges of people, goods and services in the ASEAN region, which is striving to become a fully integrated economic community by 2015. Leading tour operators, hotel companies, airlines and development organizations are attending the Mekong Tourism Forum 2010 along with tourism officials. During the forum at the Angkor Century Resort & Spa in Siem Reap, panel discussions are being held on “Pioneering Mekong Tourism Products,” “The Path to Community-based Tourism,” “How Sustainable Tourism Can Drive Profit,” and “The Road Ahead”. For the full program showing all speakers, visit http://mekongtourismforum.org/site/forum/programme/. For further information email to: [email protected] or call the Mekong Tourism Coordinating Office at: (+66) 2-612-4150.